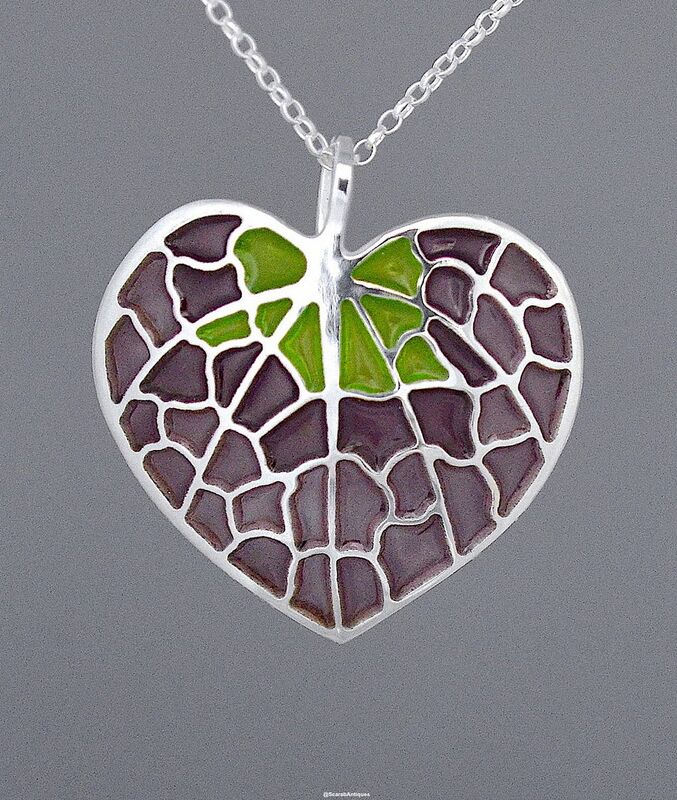 Known as Forest Pansy Leaf this silver & plique a jour enamel pendant was designed and handmade by Jean Wilkinson. 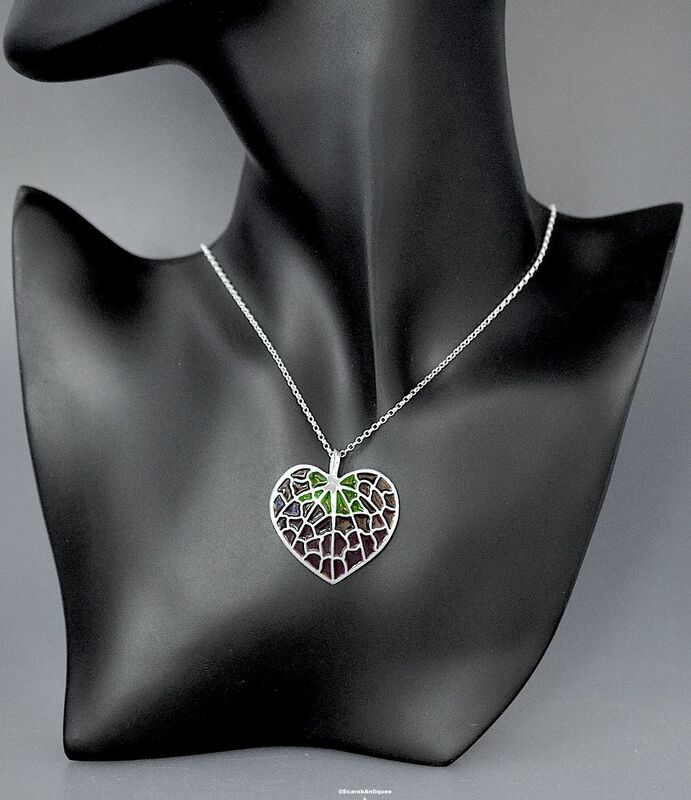 Made in the shape of a pansy leaf it is done in bright green dark and light purple plique a jour enamel to depict summer. It hangs from a silver chain.